Interview with Dr. Nassir Marrouche on Personalized Atrial Fibrillation Treatment Through "Staging"
Home | Afib News & Events | Interview with Dr. Nassir Marrouche on Personalized Atrial Fibrillation Treatment Through "Staging"
Dr. Nassir Marrouche is Director of the University of Utah's Electrophysiology Laboratories and Atrial Fibrillation Program, as well as Executive Director of the CARMA (Comprehensive Arrhythmia Research and Management) Center. Mellanie True Hills: This is Mellanie True Hills. I'm with Dr. Nassir Marrouche. He is the University of Utah's Director of the Electrophysiology Laboratories and Atrial Fibrillation Program, as well as Executive Director of their CARMA Center, which is their Comprehensive Arrhythmia Research and Management Center. He shared at Heart Rhythm Society some fascinating research that I think will be of great interest to patients, and I saw his colleagues from around the world - their eyes lit up when they saw this research. So this is really some groundbreaking research, and I've asked him to talk a little bit about his research for us, as a patient community. So Dr. Marrouche, thank you so much for joining us. Dr. Nassir Marrouche: Thank you so much for allowing me to join afib patients in their experience, and share what we did at the University of Utah. You were there when we presented our recent data based on the research we did in Utah for the last three years. We came to Utah to really tackle afib based on different patients, different approaches, and different presentations. So what we tried to do is personalize the management of atrial fibrillation. We wanted to look at the origin of afib—where is it that afib comes from, where does afib start—all these pathophysiology questions that are still out there today, as you all know, a big part is unanswered. So what we started doing in Utah is we are going to look at the tissue structure within the atrial chamber—both atria, right atrium and left atrium. And what we could find over the years—this is what we presented last week at the HRS annual meeting—is that patients with progressed disease of atrial fibrillation, the more extensive disease, tend to have more fibrosis, more scarring. And independent from the duration of afib, independent from the size of the atrium, independent of what drug you used, independent of how highly symptomatic you are, or no symptoms/experiences, what counts—what's key for the success of the treatment and the risk of stroke—is the amount of fibrosis in the left atrium. So now today—and this is the research we presented specifically—we can use an MRI sequence that we developed at the University of Utah, and the image processing software to let us see that amount of fibrosis—it was developed at the University as well—is to personalize the management for the specific patient. Every patient we know is different, not only with atrial fibrillation but with other diseases as well—their response to drugs, or ablation, or anticoagulation, is different as well. So what we did in Utah is to standardize the management based on an MRI scan. So every patient with afib gets an MRI scan, and what we do next is we stage his or her atrial fibrillation based on the amount of fibrosis. So there are four stages which we defined—we call them Utah I–IV stages because they were defined at the University of Utah. So Utah I means that the patient has little amount of scarring or fibrosis; Utah II means they have more progressed disease and more scarring, between 5% to 20% of the atrium is scarred; Utah III means there is more than 20% and less than 35% scarring; and Utah IV patients have a lot of scarring, and what we call that in Utah is 'the point of no return'. The Utah IV patient unfortunately seems like they come to see us a little late, or they already have a lot of scaring. The success rate of an ablation procedure, at least catheter-based, is only 3%–4% at one year, and this goes down as we go. The risk of stroke is high compared to people at Utah I and Utah II. Utah III success rate is higher than Utah IV, but still within the 60% range, and the risk of stroke is higher than others. The Utah I seems to have a great success rate, up to 95%, and risk of stroke is low. Utah II, 75% success rate, and risk of stroke is lower than Utah III and IV. So this concept helped us really personalize the management for atrial fibrillation, what we're trying to target now and promote everywhere in the world today. I think every patient—just like in the coronary artery disease patients—deserves to know what's happening with his or her atrium. We look at the tissue, we look at the amount of diseased tissue before we start treating the disease. Is this a patient candidate for ablation? We look at the MRI scan first and Utah classification. Is the patient a candidate for long term blood thinners, Coumadin or anticoagulation? We look at the Utah classification, and if you're Utah III or IV, we are reluctant to stop anticoagulation or Coumadin because the risk of stroke is high. This is the research we presented, and one of our fellows won an award for it. So hopefully we can promote this staging approach everywhere in the world. And with your help, and the patient advocates with StopAfib.org, hopefully we can have everybody with afib staged today just to assess this risk. And moreover, I want to bring one more point, which is—we had eight presentations about this at HRS last week—if you're treated already, and you're successful or failing for ablation procedures, or even drugs, you should stage your heart, because we can stage the amount of lesions or therapy we delivered in your heart. With catheter or with surgery, we can look at the lesions, we can tell you how good the lesions are, especially if you have recurrence of arrhythmia. We can tell you if it's worth it to go back or not. So this staging approach—MRI looking at the tissue—is really opening a new window, not only of research but management of atrial fibrillation worldwide today, and hopefully will help to encourage this approach in every single afib clinic or cardiology practice in the world. Mellanie True Hills: If I understand correctly, you're getting ready to start a trial that will spread this out to other locations in the U.S. as well as Europe. Dr. Nassir Marrouche: Yes, we're starting the DECAAF trial, which is "Determinant of Catheter Ablation of Atrial Fibrillation using Delayed-Enhancement MRI" trial. What DECAAF is about is every patient out of 24 centers we've identified in the states and Europe would have the staging before the ablation—this is a blinded study—and then 3 months later every patient would have another MRI and we'll look at the amount of lesions. It's a blinded study—a 1 year follow-up study—to look prospectively at the concept of staging and how can we apply it not only in Utah, and in Germany—there's one center working with us—and in Bordeaux, France. We attracted more than 24 centers, other than the 3 centers I just mentioned. We want to promote this everywhere, and hopefully we can change the guidelines based on this and recentralize management of atrial fibrillation. Because you and me know, Mellanie, that paroxysmal or persistent or long-standing persistent or permanent afib is only a presentation of arrhythmia. But we know that people who have been in afib for 30 years could profit from an ablation procedure, or a cure procedure. And patients who are only 3 years into afib, or only 6 weeks, might have some amount of scarring and we may not be able to do anything about them, so they may fail an ablation procedure. So that's why this is important to stage their disease stage and the disease progression, and based on that, define what's the best for the specific patient, and then deliver it to them. MTH: Absolutely, and I was fascinated to talk with one of your patients who had been in afib for 30 years, and now she's afib free for 6 months since her procedure. We typically think that when someone's been in afib that long, that they're not going to be able to be cured, and yet she's afib-free. I think that it's really exciting. I also understand that you have created a facility where you actually have MRI in the lab, so that you'll be able to use those simultaneously during the procedure. Dr. Marrouche: Yes, we're fortunate to have great support from our institution, the University of Utah, to help us build this two years ago, the EP-MRI lab. So our lab has an MRI scanner, we call it the Afib Scanner, to stage patients and immediately treat them. So every patient in Utah today, when we ablate their afib, within 20 to 30 minutes after the procedure, immediately, while they are in the ablation lab, they go over and we scan their heart, to assess the accuracy and the safety of the lesion we delivered. None of our patients today will leave for home knowing that their lesions are not in the right place, or deep enough, and safe enough, more importantly. That's why the MRI scan in the EP labs is crucial. There are another 18 centers worldwide now that are following our design, we are working together with a couple of companies to promote EP-MRI labs in the world. But it's key, the advantage of this lab is none of the patients will go home after ablation unless we're safe that the lesions—because you know the MRI allows you to see the whole heart, the whole chest, the esophagus, any kind of structure in details, so now we look at the lesions—are they across the wall from one side to another, are they good in place? If they're not, we get the patient and roll them back to the EP lab and continue the ablation before we send them home. So this has really promoted the safety and the outcome in a huge way, because now we can select the patient who can profit from the ablation procedure with staging, and continue the ablation procedure and can be sure that the lesions are in place based on this MRI scan and the EP-MRI lab. MTH: Exactly. Well it's all fascinating, fascinating research Dr. Marrouche. 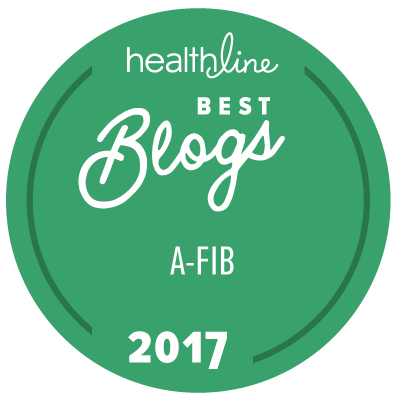 Thank you so much for sharing with us at StopAfib.org about the research that you're doing. Dr. Marrouche: And thank you so much for the great work Mellanie, putting together to promote management, treatment, and awareness of atrial fibrillation. We're so happy to have you with us on this endeavor.